Bill & Ted’s Bogus Journey isn’t my favorite of the two movies and I know one has its fanbase, but for me, it never quite worked, though does have some interesting visuals. Note: Portions of this were copied from my “Most Excellent Collection” Blu-ray review. Plot Synopsis: In this sequel, the titular time travelers aren’t making history — they are history! When an evil-doer from the future sends eviller robot twins of Bill & Ted to assassinate and replace good, non-robot Bill & Ted, the guys wind up face to face with the Grim Reaper (WILLIAM SADLER)! 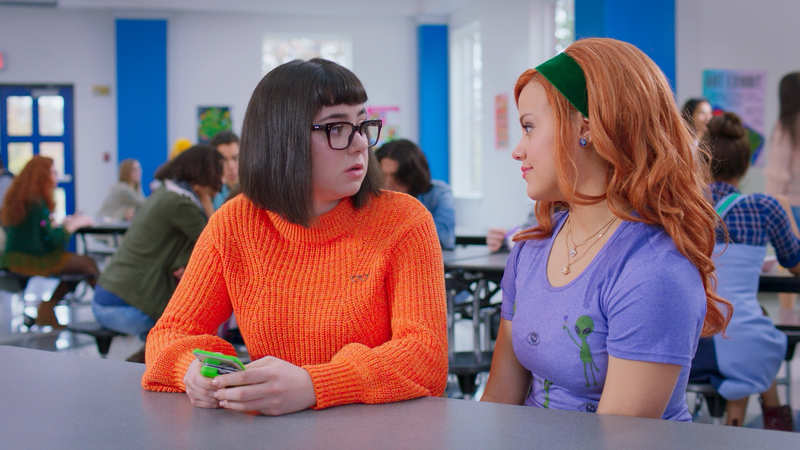 Can the now-dead duo escape, defeat their evil doppelgangers, and win their Battle of the Bands contest? 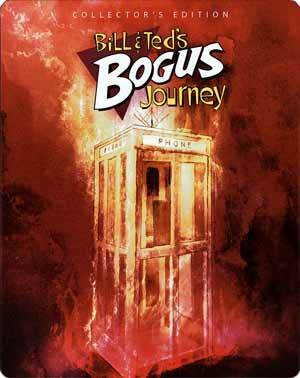 Quick Hit Review: I understand Bogus Journey has its fervent fans and I get that. I also appreciate that this isn’t a paint-by-numbers or cut-and-paste sequel and yet for myself, it’s a bit too out there for my enjoyment. That said, I did like some of the references and seeing Winter and Reeves reprise their roles was still a lot of fun, even if I didn’t laugh (or smile) quite as much. Although William Sadler was a treat as the Grim Reaper, I did miss having George Carlin who basically makes a cameo, appearing for maybe 10 minutes. This is a Steelbook release but not entirely the same disc from the “Most Excellent Collection” as it includes a featurette that was on the bonus disc of that release. Audio Commentaries – There are dual tracks, one with Actor Alex Winter & Producer Scott Kroopf, moderated by Sean Clark (of Horror’s Hallowed Grounds) and the other with Writers Chris Matheson and Ed Solomon. Bill and Ted Go to Hell: Revisiting a Bogus Journey (52:04; HD) looks back on the sequel with many of the same participants (Reeves, Winter, etc) and others (like William Sadler) who were involved in the project and how it came together. 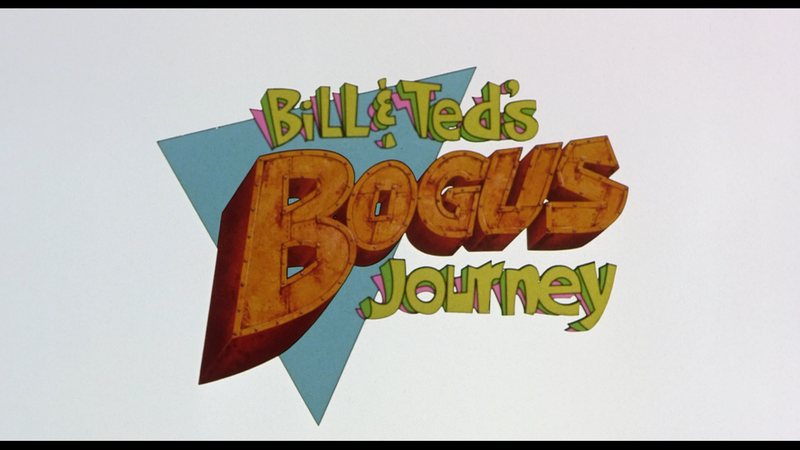 Bill & Ted’s Bogus Journey isn’t as good looking compared with Excellent Adventure, yet still the 1080p HD transfer, and presented in its original 1.85 aspect ratio, at least has some nice detail and colors look fairly vibrant. It’s nothing amazing nor does it really pop off the screen or anything, yet still looks fine and no doubt is a nice upgrade over its DVD counterpart. This comes with solid DTS-HD Master Audio 5.1 and 2.0 tracks. There’s actually quite a bit to digest as there’s several action set pieces in both films from the time traveling wormhole in Excellent and when the two dudes enter the seventh circle of hell in Bogus. There’s also some nice depth while also offering clear dialogue levels. Overall, Bill & Ted’s Bogus Journey isn’t my favorite of the two movies and I know one has its fanbase, but for me, it never quite worked, though does have some interesting visuals. As for this “Collector’s Edition” release, the Steelbook is nice and at least comes with some bonus material, you are getting this for the packaging.